Members of Teamsters Local 350 employed in the clerical unit at Allied Waste Santa Clara unanimously ratified a new five-year agreement. 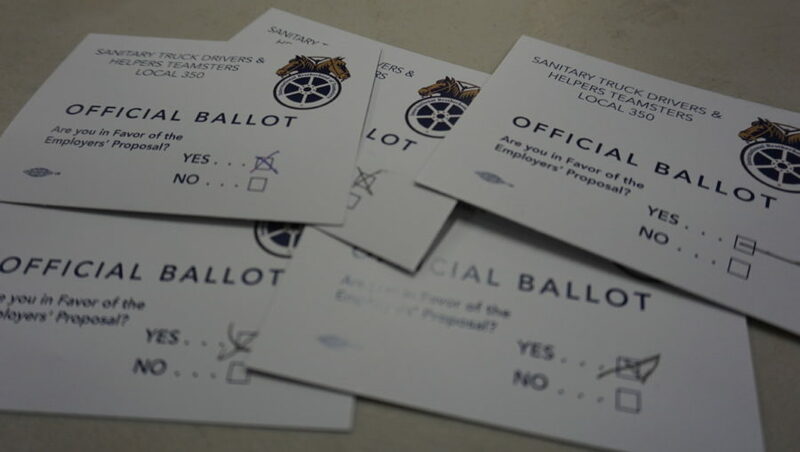 The five-person bargaining unit is fairly new to Teamsters being recently organized back in 2016, but they showed strength and solidarity by holding out until they were satisfied.“It is important to secure and organize the clerical workers at these garbage companies. A CBA has always been a way to ensure that workers get their fair share in the workplace. Whether you are picking up garbage or picking up a phone, all workers deserve good wages, benefits and a safe working environment.”Local 350 Recording Secretary and Business Representative Sergio Arrañaga said.